Bangkok, Thailand (BBN)-Thai police say they were warned by Moscow that 10 Syrians working for the so-called Islamic State (IS) entered Thailand in October to target Russians. A leaked Thai police memo says the information was passed by Russia’s intelligence agency, reports BBC. More than 1.5 million Russians visited in 2013. But Thai police say they have not been able to confirm the presence of these Syrians and officials called for calm. Russia began air strikes against IS in Syria at the end of September. An IS-linked group also claimed it brought down the Russian airliner which crashed in Egypt’s Sinai peninsula in October, killing all 224 people on board. 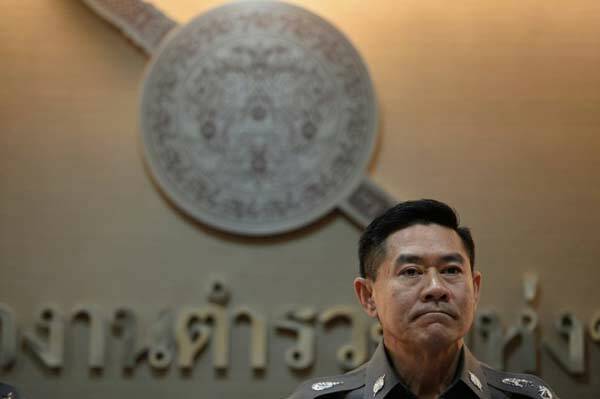 The leaked memo, marked “urgent” and dated 27 November, was from a commander of Thailand’s Special Branch and was sent to police units. It says Russia’s Federal Security Service (FSB) had told Thai police that the Syrian militants had entered the country between 15 and 31 October to target Russians. How has IS threat expanded? The plan was to target “Russians and Russia’s alliance with Thailand,” it says. The memo calls for increased security around possible targets. Pattaya and Phuket are both popular resort destinations for Russian tourists, and Christmas and New Year are peak seasons. But Thai authorities said they had still to determine whether the Syrians had even entered the country. Immigration Bureau commissioner Nathathorn Prausoontorn told Reuters news agency that of the 231 Syrians who had entered in October, only 21 remain and there were “no irregularities” among them. In August, a bomb at a Bangkok temple that killed 20 people was the first major attack on a tourist target in Thailand. Two Muslim Uighurs were arrested and charged, although authorities say they are linked to people-smuggling gangs, not Islamist militants. But the BBC’s Southeast Asia correspondent, Jonathan Head, in Bangkok, says there are outstanding arrest warrants for a further 15 suspects for that bombing who are still at large. There is a widely-held belief that it was carried out in retaliation for Thailand’s controversial decision in July to repatriate more than 100 Uighur asylum seekers to China, he adds.